It tastes GOOD and it does GOOD. ♥ Family business homegrown in Dubai with passion. ♥ Love that Koita has travelled the world and found the world’s BEST ORGANIC Milk, from grass fed, free range cows from Italy where the soil produce nutritious pasture. ♥ Trustful and conveniently relying on the special heat treatment process (UHT), to keep Koita milk in my pantry for months safely (6 Months Shelf Life - keeping the taste to it's most original nature). ♥ Bonus, Koita a Natural source of calcium has added organic Vitamin A & D3 to supports the immune system. 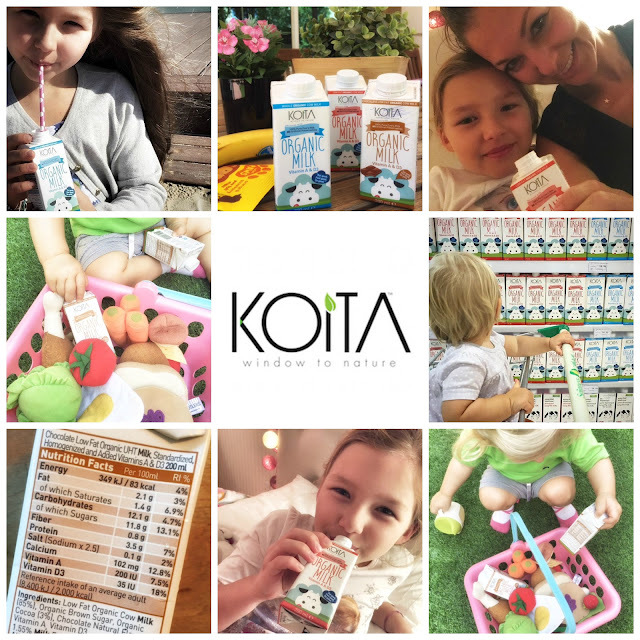 ♥ Grateful that Koita, homegrown company based in Dubai contribute to making the world a better place by donating 5% of all net profits from Koita Organic Milk local charities! 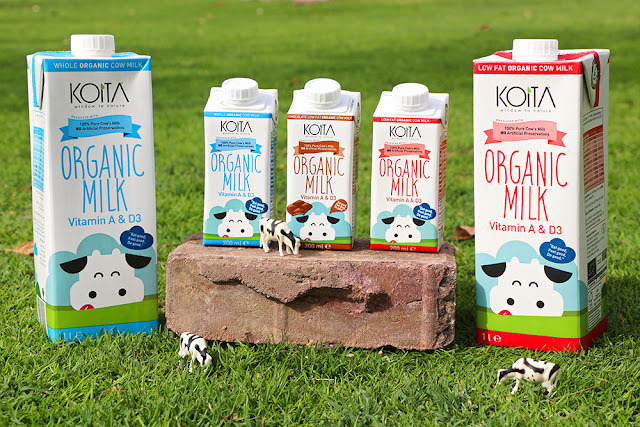 Already a fan to both Koita Organic Milk low-fat and full fat, we are now, treating our self to the newly launched this week... Koita Organic Chocolate Low Fat milk! Rich, smooth texture and yummy taste, it's definitely a treat we could not resist. True to it's principle Koita only uses the best organic ingredients from low fat cow milk, brown sugar to cocoa. It's a hit! If you follow us on social media, you will noticed how Koita has been part of our Instagram feed from picnic play dates, to Spinneys shopping to the girls loving the new cocoa version. Now, at 19 months, I am slowly weaning Josefin of her formula milk to Organic cow milk. Happy cows, happy kids, happy mamas... Thanks Koita!